Vietnam Drive would like to suggest you an interesting itinerary to explore Da Nang – Hue City – Ba Na Hils – My Son and Hoi An. This tour chooses the highlights at these destinations for you to get great experience during your holidays in central Vietnam. Vietnam Drive will pick you up from Da Nang airport to transfer to your hotel. 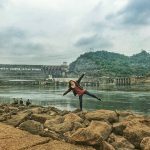 We will stop to visit Hai Van pass – Sea Cloud Pass and Lang Co bay – one of thirty best bay in the world to take pictures. Check in your hotel in Hue city. Hue city was the old capital of Vietnam during Nguyen Dynasty from 1802 to 1945. 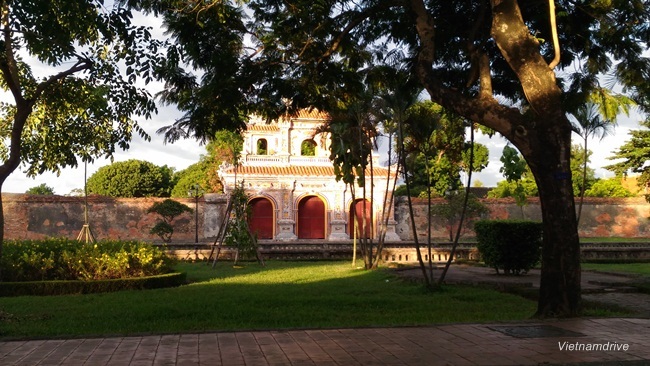 Many royal relics left become tourist attractions to learn about the history, culture and architecture. 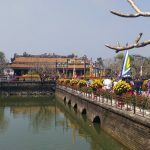 Today, you will visit Hue city: the Citadel including the Forbidden City, and Royal Museum. This was the home of the Nguyen Kings lived. Khai Dinh Tomb: This is a unique royal tomb built from 1916 to 1925. The beauty of mosaic of internal decoration shows great works of craftsmen in Hue with a lot of meanings. 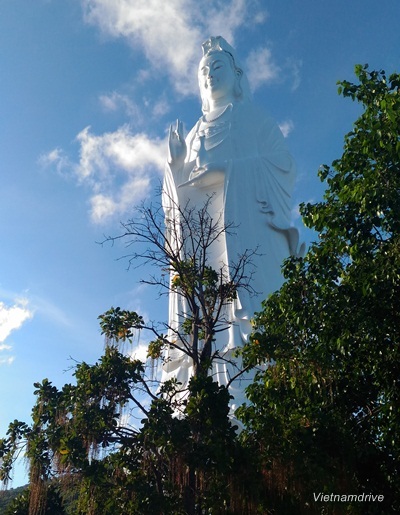 Thien Mu Pagoda: The pagoda is located on the beautiful hill facing the perfume river. That is great views for taking pictures to enjoy the peace of surroundings of the countryside and the Perfume River. This morning, we drive you to Ba Na Hills. 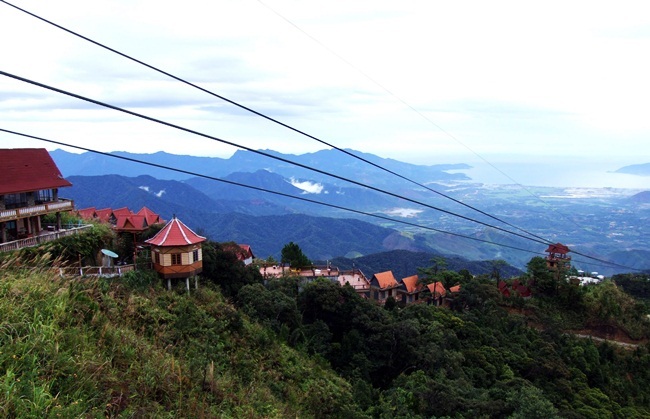 Drop off at the down of the hills; you will take the cable car by yourselves to Ba Na Hills. Experience the world longest single-wire cable car system of Ba Na Hills. Admire the stunning architecture of the Linh Ung Pagoda, gorgeous countryside views. Entertain yourself at Fantasy theme park at the top of Ba Na hills. Visit an old French cellar, flower garden Le Jardin D’amour. Your checking in your hotel at Ba Na Hills. You stay overnight on Bana Hills. Around 9.00am, you take the cable car back to the down. The driver of Vietnam Drive will wait for you here. We will visit Da Nang with Lady Buddha Statue & Linh Ung Pagoda in Son Tra Island; the Marble Mountain with many caves and temples; Cham Museum with the great collection of Cham sculpture and Han Market for buy fruits. Drop off at your hotel in Da Nang City. This morning, the driver of Vietnam Drive will go with you to explore My Son holy land. Many ancient temples and towers were built from 7th to 13th century with the rich culture of Cham people. Then, we transfer back Hoi An Ancient City. You will Visit Hoian Ancient city with many ancient buildings and unique life style. We will visit a handicraft village to learn how the local people to grow silkworms and make silk fabric. Then, you will walk to the Chinese temple, an old house Tan Ky, the local market and the Japanese Bridge. After visiting Hoi An, you get free time to shopping before we come back your hotel in Danang. Enjoy your morning by yourselves, and then we will transfer to Da Nang international airport for your flight departure.